If you are talking about the spark plugs, put them back in, you could be giving a varmit a home for the winter if you leave them out. Need some help from the forums.... with the nice warm weather we have been having I decided to get the boat ready for spring as I had a few things I wanted to get accomplished b4 im able to take the boat out hopefully in the next few weeks. We'll I've run into a snag once I got the battery hooked up. I've got power to everything in the boat. Stereo, lights, Horn, Dash Gages, keybaccessory and engine turns over. The only thing that isn't working is the trim doesn't work. When pressing the trim button both up and down nothing happenes no click, no sound. 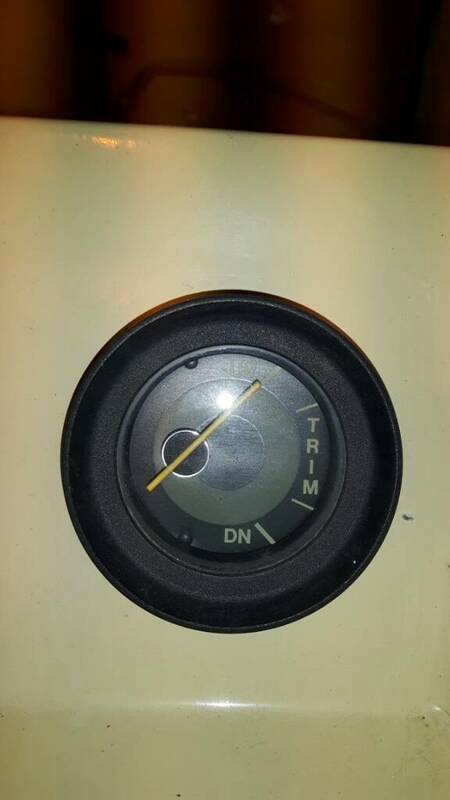 When I key up the accessory power the trim gage registers trim position as up all the way Which it is. I have contacted the previous owner and he has responded and said that last summer he had a problem with the trim not working and had to take it into a boat mechanic to diagnose and fix the the trim problem. He said it ended up being a faulty relay for the trim. 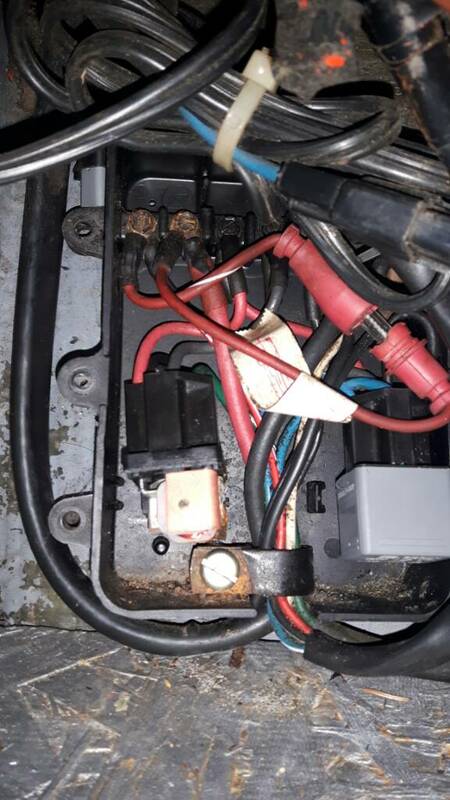 He says it was just recently replaced and the old relay is in the boat inside the seat and I have confirmed this. He says he's unsure of why this is happening as it was just recently fixed last summer. Today I plan on following my shop manual and testing to see where I'm getting power. I'll test the relay, switches and solenoid. I have someone more experience with electrical coming to lean me a hand with running the tests. I ran a quick test with a light pen and didn't get any power at the solenoid which to my lack of electrical skills would suggest the relay again? Strange this is happening if this part was just swapped out. But I have yet to run a full test on the circuit. So will post some more information once I've completed the tests to help better describe the problem. If it is the relay and it was just replaced then there must be another underlying electrical problem causing the relay to keep failing, maybe someone on the forums has some insight. 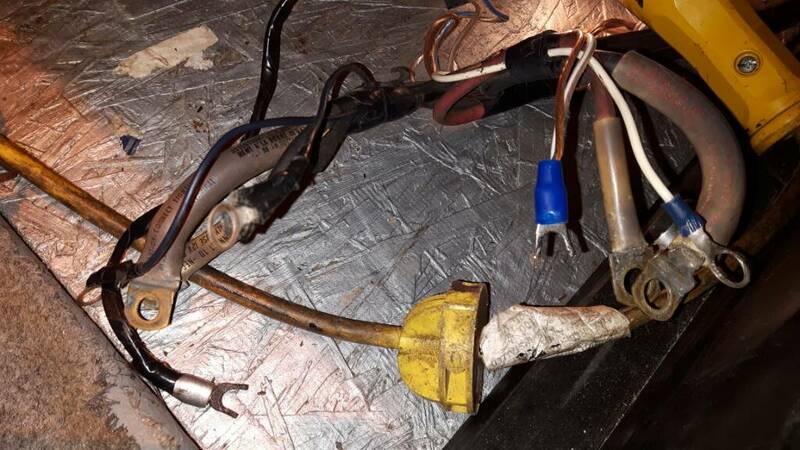 Did you double check to make sure both the leads for the trim system are connected to the battery, a lot of times the trim has two separate wires. 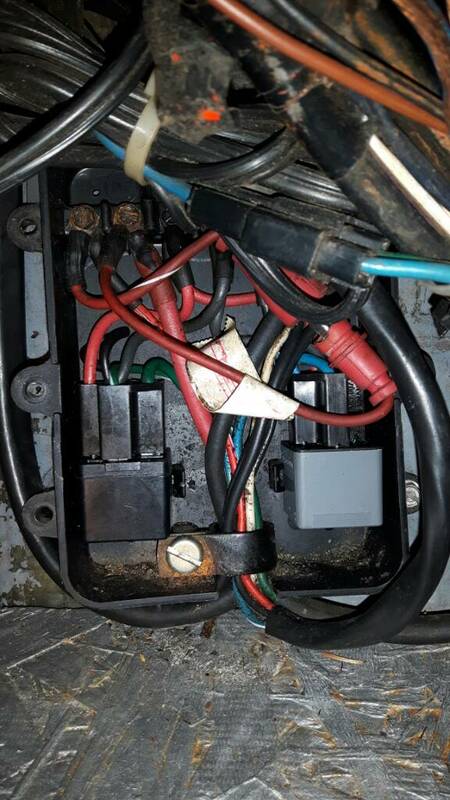 in the case I referenced he didn't get the negative wire connected to the battery so he had voltage at all of his Trim relays but the pump still wouldn't run. This was something that the original owner had mentioned. I wasn't there when it was disconnect from the boat for winterizing. But followed his instructions hooking the battery up. I even double checked the wires for ground using a multimeter and only the stereo I had trouble determining until I traced the wires and determined what was what. I ended up getting 4 leads for the positive terminal and 5 leads hooked up to the negitive terminal. All wires except for the rear navigation light are hooked up. There are no more wires left unhooked at this time. Unless i completely dropped the ball everything shouod be hooked up correctly. The wires from the trim relays seem to be bound into one wire connection which connects to the terminal off one connection. Some moisture seems to have built up inside the relay that opened up while I was checking it. While checking out the relays and fiddling with them I seem to have now have power going to the down button on the switch. It activates the solenoid and makes a humming sound like it's operating the hydraulic mechanism. But there is no up or down movement happening. Not sure why the engine isn't moving now as the ram sounds like it's being activated. 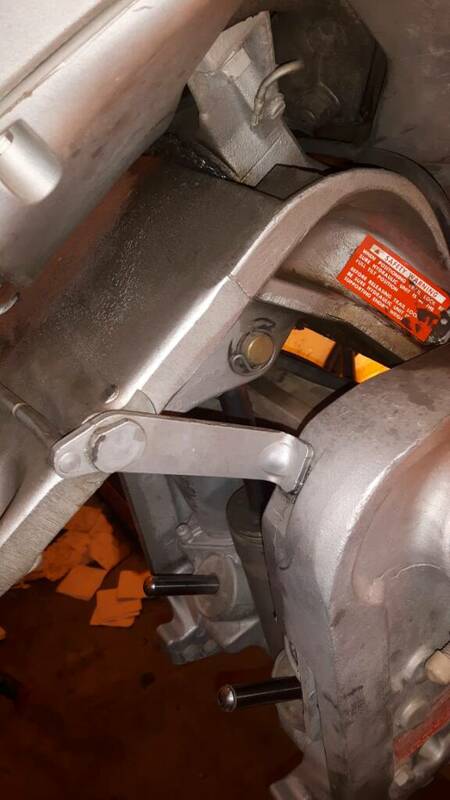 The travel mechanisms that holds the engine up while in transit has been removed. So nothing should be stopping the movement of the engine. I sill don't have any power to the up switch on the shifter. 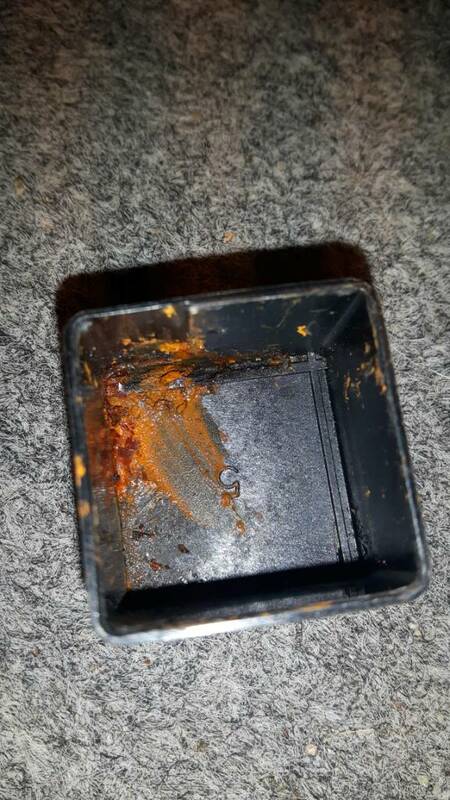 There was a lot of corrosion and moisture inside the relay that opened up. So after some testing I've determined that the relays are at fault for the electrical issues. I now have power to my switches dash gages and to the hydraulic ram on the tilt. The design of these relays is really not a marine application. The box that houses them leaves a lot to be desired from weather and moisture wise. Leaving the contact valuable to corrosion. Currently I picked up two identical replacements to temporarily fix my problem. And also picked up two weather/water resistant pigtails and harnesses that have gaskets protecting the relay. I'll end up wiring these into the block later this summer. Seems something is preventing the engine from lowering....I've got the travel pin removed from the base but the engine seems to be locked. It won't move from the side and only travel about an inch down before binding. There must be something locking the engine in place in the up right position? So to answer my own question i figured it the locking mechanism with a little trouble shooting.. These are my motor locks. I was under the assumption that this pin was my travel lock. 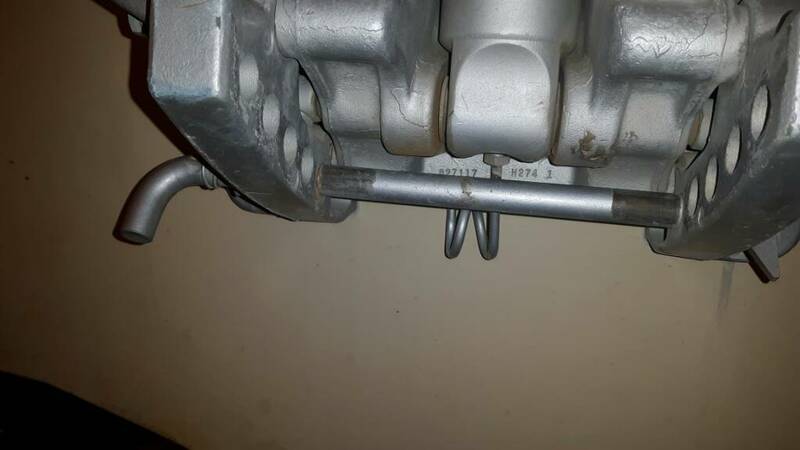 Can anyone explain what this pin does for my boat. Believe it limits how far down motor will go while trimming. And on older Merc's I think it "Locks" motor when in reverse, so it won't "Kick Up" .